Guys, you can take a break from FBG today. 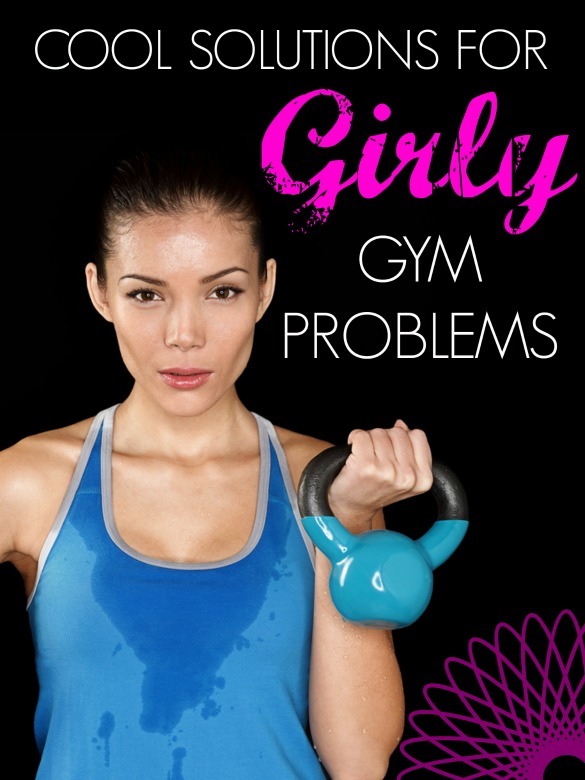 That is, unless you want some insight into the trials and tribulations the ladies face on a daily basis: messy post-workout makeup, germy gym bags and cluttered purses. We know they’re not the biggest problems you could face in your life, but they are a hassle, and we do have solutions! I know there are some ladies out there who just don’t sweat. And that’s great. We’re so happy for you! Really. But Jenn and I are both sweat monsters when working out. I’ve learned that having a towel around is always a necessity, and Jenn swears by grabbing the treadmill nearest the fan for the well-being of everybody at the gym. By the time my workout is over, my face is usually a red mess, and my makeup is usually smeared from here to kingdom come. 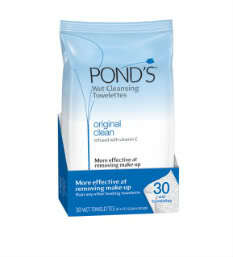 That’s where Pond’s comes in! These great towelettes are the perfect solution for removing makeup before a workout or for cleaning yourself up afterward. If you can’t make it to a sink or shower to wash off properly (like when you’re hiking) or if you just don’t want to use the industrial strength soap at the gym, these are a great substitute. They take your makeup off in a hurry, and don’t leave you with any weird filmy feeling on your face. And they smell nice! During a gym bag giveaway months ago, Jenn and I were sad to discover that some of our readers use some of the SORRIEST excuses for gym bags ever. And while we can’t solve all of your gym bag problems or give bags away daily, we can point you in the direction of the cutest and most functional gear there is. Many of you mentioned the foul gym bag smell as being your major problem, and we’ve got a solution. 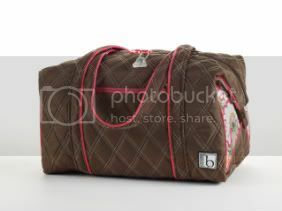 The cinda b Overnighter bag is a quilted bag that can be used for the gym or, as the name says, an overnight bag. What we love about it is that it can be thrown in the washing machine when it starts smelling funky. Plus, it is pretty much adorable and comes in 11 flavors. FBG readers can get 15 percent off on orders through Sept. 15. Just enter CBFitBottom at checkout. Stinky bags begone! The Pouchee is cleverly named after a kangaroo because, well, it’s a cross between a mini purse and a ginormous wallet that holds all of your must-haves, kinda like a kangaroo carries all of her personal belongings (read: joey) in her pouch. It’s totally functional, comes in fun styles, and it’s named after a kangaroo. Awww. 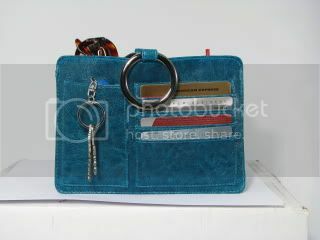 I’ve used my Pouchee to store, not a joey, but all of my IDs, gift cards, credit cards and any other card you can think of, plus my sunglasses and cellie. Basically, I put everything in there that I must have. Then, when I want to transition from my daytime purse to after-work gym bag, I can easily pick out my Pouchee, throw it in my gym bag and go. It really does help me feel more organized, and it’s way cuter than a Ziploc.